Convenient interstate access, free breakfast and free Wi-Fi are some of the perks at the non-smoking Hampton Inn and Suites Houston I-10/Central, where there's also an indoor pool. 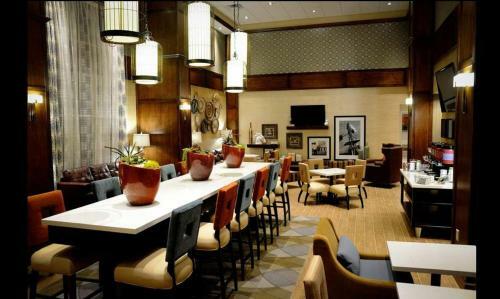 The non-smoking Hampton Inn and Suites Houston I-10/Central has five floors with 90 well-equipped rooms with free Wi-Fi and flat-panel HDTVs, mini-fridges, coffeemakers and microwaves, as well as work desks. Start the day with a free newspaper to read with your complimentary breakfast before getting down to work in the business center or the fitness room. 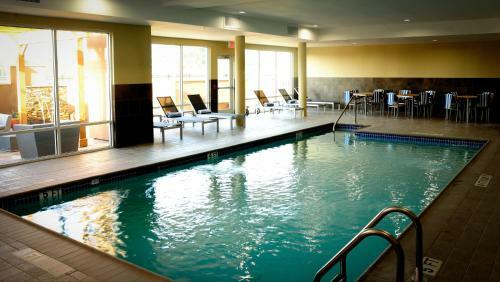 There is also in an indoor heated pool where guests can unwind. On-site laundry facilities, a small convenience market and free parking are other pluses. Just off I-10, the Hampton Inn is five miles west of downtown Houston. Across the highway, there is a park where guests can wander trails, play golf or peruse the Houston Arboretum. Book tickets at area venues, like Minute Maid Park or the Toyota Center, each within 15 minutes, and don't miss the intriguing Space Center Houston, a 40-minute drive. History and art lovers appreciate the Houston Museum of Natural Science, the Museum of Fine Arts and the Menil Collection, each within 20 minutes of the hotel, and a fun spot for families is the Houston Zoo, a 15-minute drive. The two are airports are William P Hobby Airport, 17 miles away, and George Bush Intercontinental Airport, a 24-mile trip. our guests comment on the friendly staff, delicious variety at the free breakfast and the excellent location just off the interstate at the Hampton Inn. 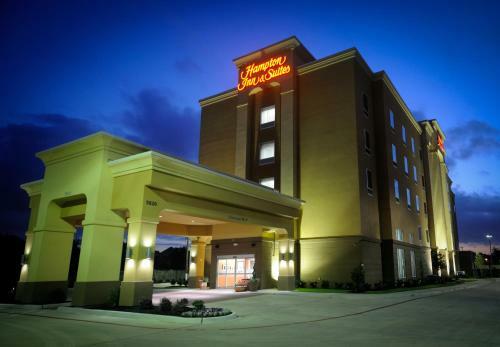 Hampton Inn & Suites Houston I10 Central is an amazing Houston lodging choice for your trip to Texas. With numerous amenities for guests such as free full breakfast buffet, hair dryer, alarm clock, you will wake up at Hampton Inn & Suites Houston I10 Central feeling excited every day for your time in Houston. Don’t let this amazing reservation opportunity pass you by, book your stay at Hampton Inn & Suites Houston I10 Central today to make the most of your time in Houston, Texas.